The last hunting season came, you ventured into the woods…and even with your high expectations, you didn’t reach the number of whitetails you’ve planned to put in your freezer. As the next season approaches, I’m sure you’ve set a new goal- the number of whitetails you want to take home. BUT…you might get disappointed again because you’ll probably repeat the same tactics you used last time. What if you put in new, proven tactics? Truly, this will raise your game (and flood your freezer with whitetails). That being said, I’ll share with you 4 Powerful tips below that will help you bag more deer in the next season. Whether you’re a new bow hunter or you’re already a pro, you need to prepare before you set out to the field come hunting season. One essential preparation you need to do is scout for deer and check out the woods you’re planning to hunt in. Do you know how to scout for deer? 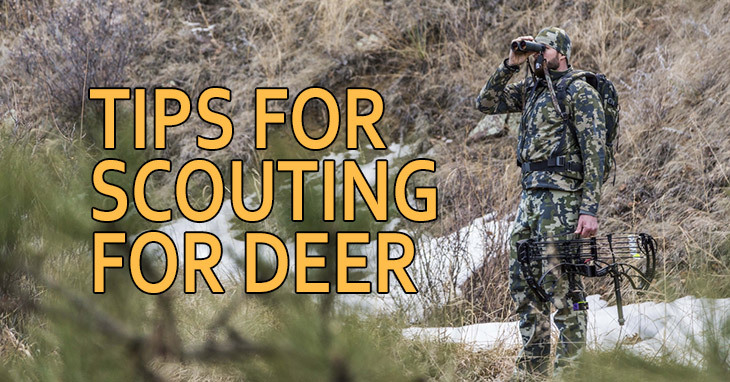 If you’re looking for tried and tested tips for a successful deer scout, then read on. While many bow hunters prefer to hunt during the rut, starting to hunt early in the season has its advantages, too. Not only will you get the first pick of bucks, you’re less likely to have competition as well. 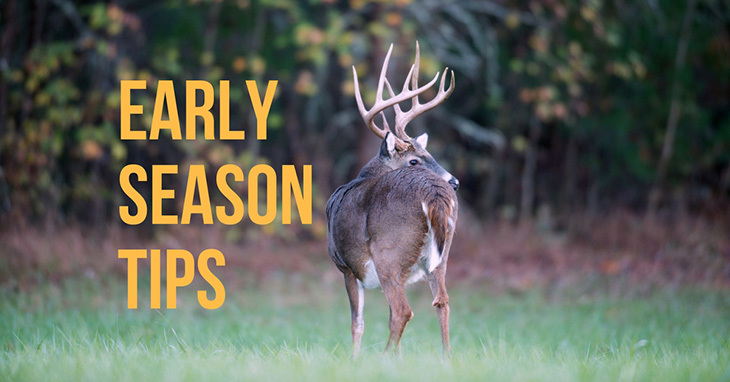 If you wish to start early with your whitetail hunting, these seven early season deer hunting tips could help you make the most of your hunting trip. It’s bow hunting season once again! 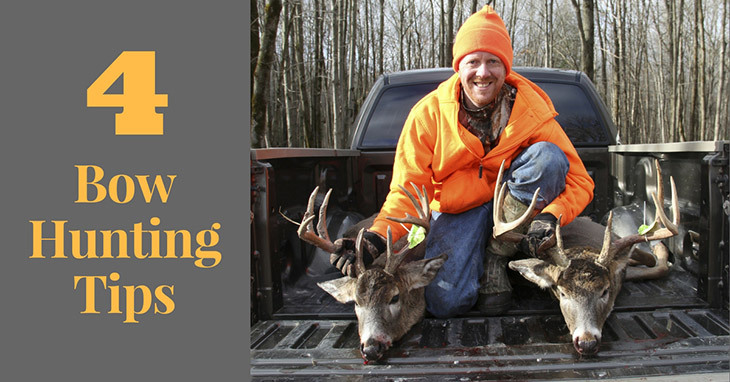 Whether you’re heading off to a hunting site to catch that perfect buck or you’re just interested in the sport, now’s the perfect time to read up on this exciting activity! Even seasoned bow hunters need to review their knowledge of bow hunting every once in a while. What tools and equipment should you use? What is the best strategy to attract some bucks? How do you properly butcher a deer? 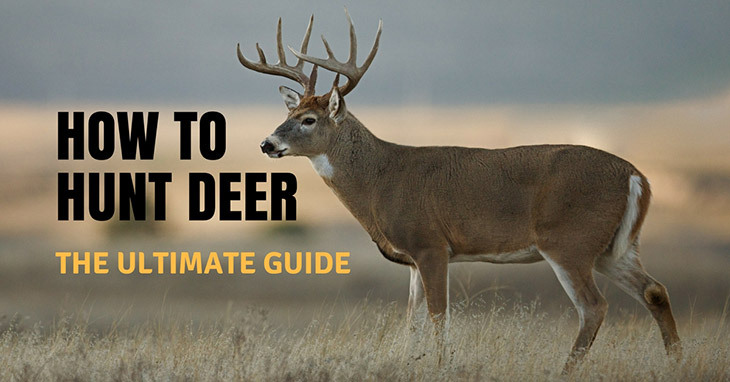 This handy guide gives you a comprehensive view of how to hunt deer with a bow. Read up, learn more, and immerse yourself in the fun and challenging world of bow hunting! Bow hunting could be an exciting and challenging hobby, but it also poses risks if you are not careful. Accidents could easily happen to a bow hunter who does not pay attention to his weapon and surroundings. 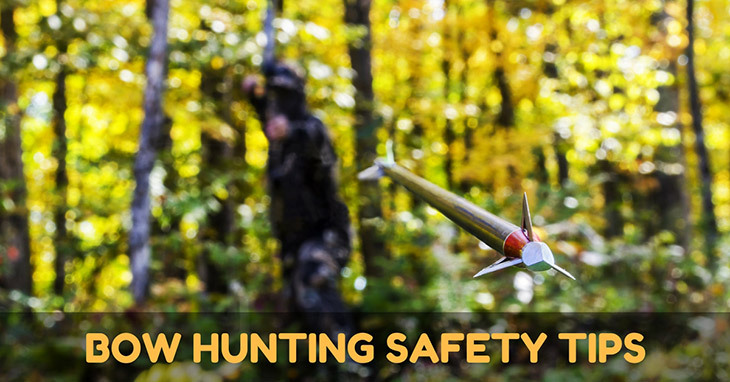 Over the years I’ve compiled a list of bow hunting safety tips that have helped me and other bow hunting colleagues stay safe during shooting practice and actual shooting in the field. I’m sharing them today with the hope that they might help you stay safe and make the most of your bow hunting experience. Having chased the deer for years now, I can comfortably attest to the fact that it’s quite an elusive animal. There are days I could sit on my stand the whole day without seeing a single whitetail, leave alone striking one down with my bow. …until I discovered that I could easily attract the deer to my hunting spot and hold them “hostage” for easy shooting. I know you might have found yourself in this scenario too. 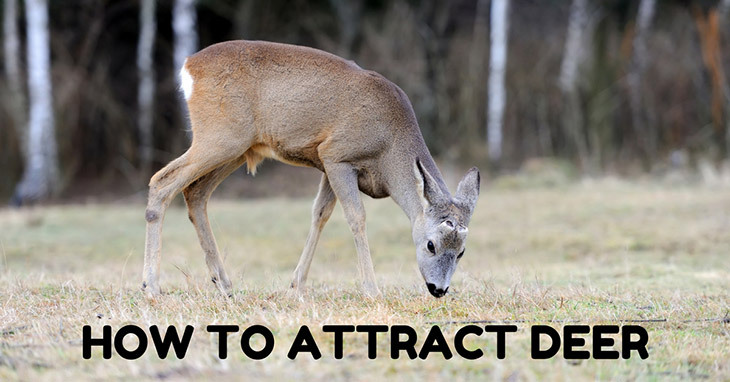 So, I’ve put up this post to share with you the best methods of attracting the deer to your hunting zone/property. PS: There are many methods shared in other blogs but here, I’ll ONLY share with you the FOUR methods I’ve personally used and brought in real results. Let’s take a quick look into your deer hunting gear. I can see quality bows, quality arrowheads, quality tree stand, quality rangefinder, nicely built quiver - quality everything! BUT wait! Where are your deer calls? If you’ve not been using these highly important pieces of equipment in your deer hunting life, you’ve been missing quite a lot. 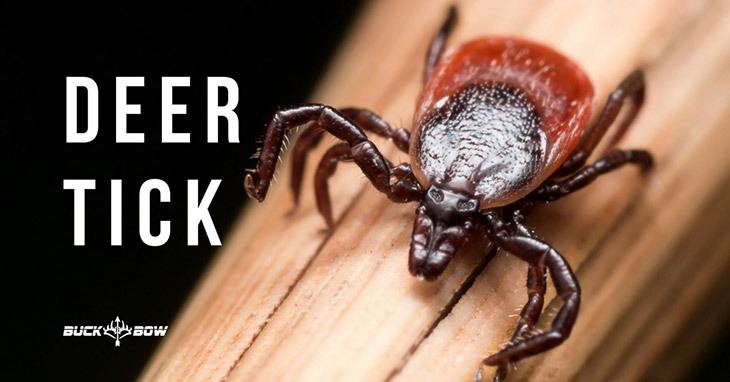 The deer tick, commonly referred to as black-legged tick- or scientifically as Ixodes scapularus (dammini) - is an arachnid that’s well known for feeding on the white tail deer. Not only that, it tends to feed on other mammals, including human beings (where it might cause the Lyme disease). Now, most hunters don’t have an idea what this tick looks like. Some even confuse it with the brown dog tick. If you’re one of these hunters, I’m going to enlighten you on everything you need to know about the bloodsucker in this post. So you’ve caught your first buck. Congratulations! Now you may be thinking of keeping its head as a trophy, but you don’t want to spend a lot of money on a shoulder mount. Instead, you want to make a European style mount that you can hang proudly anywhere you like. 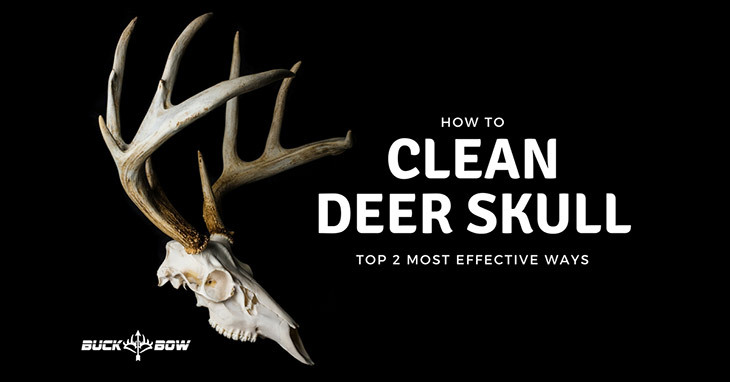 In order to make a beautiful European mount, you need to learn how to clean a deer skull properly. To do that, you can choose from these two options. I’ve also included the pros and cons of using both options to help you decide. 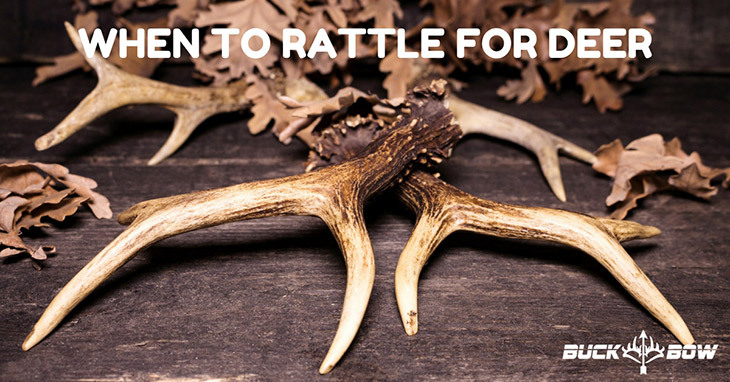 Have you ever tried to make rattle calls but still fail to attract any bucks your way? If yes, then you may have been rattling your antlers at the wrong time, in the wrong place, and using the wrong way. Don’t just rattle randomly and hope for the best! You need to have a strategy and good technique to attract bucks with your rattle calls. Today, not only will I discuss when to rattle for deer, but I will also give helpful tips on how to make the most of your rattling efforts. What is Buck Fever? What is the Best Way to Cure It?